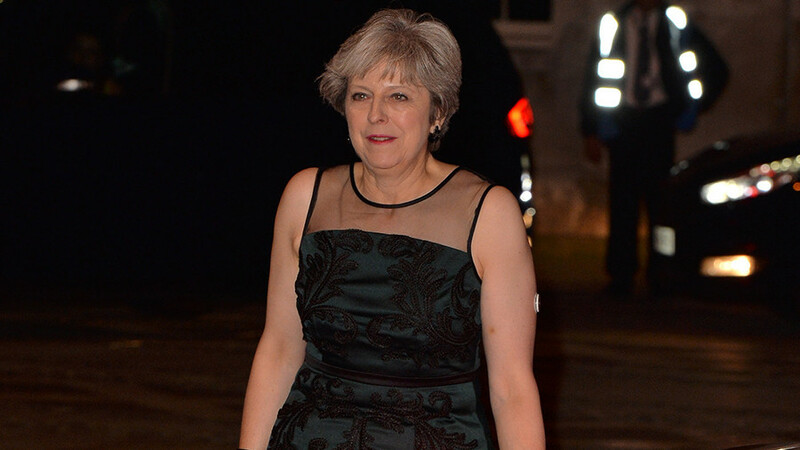 Theresa May deployed two methods of distraction at the Lord Mayor’s Banquet speech in London: a flash of prime ministerial shoulder flesh in a racy, lacy ensemble, and Russia. She warned that Western democracy could soon crumble due to some tweets and Photoshop. You could hear the sigh of relief. With May showing she doesn’t have a clue what she herself is doing, Britain can at least take solace in the fact she knows what someone else is up to. • Brexit is heading for the cliff edge. The government has realized that no matter how much rhetorical twaddle it fires at the Eurocrats, they’re not budging in negotiations. • No Tory intern appears to have entered Parliament for a couple of decades without being groped. 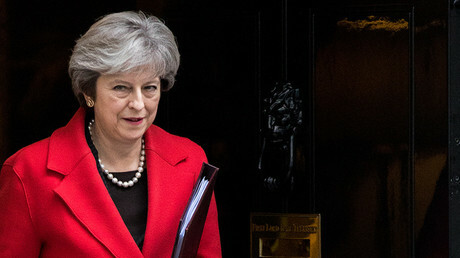 • May’s own ministers now apparently don’t have enough respect for her leadership to even regard it as an inconvenience. • Since it became clear she is one disaster away from losing her job, there have been at least four. To paraphrase, Britain’s centuries old institutions are at risk because someone in Russia is accused of tweeting and messing around with pictures. Turns out that nuclear deterrent was a waste of cash after all. GCHQ should just hire a group of teenage girls to send some nasty trolling tweets back. This would be over in minutes! It’s just a little insulting for the institution she was addressing, which has been around since 1189. May said Russia had been “meddling in elections.” That must have been the booze talking, because the following morning her spokesman confirmed she hadn’t actually seen evidence of that. The real fake news was more evident in May’s ability to just say things which ignore the reality of Brexit altogether. Does she read the newspapers? If Russia has done half the things it is accused of, it can be more readily accused of overestimating those commitments. Britain is in the process of painfully ripping itself, so far unlubricated, out of the EU alliance, and risks potential oblivion doing it. It is certainly committed, though it’s not entirely obvious as to what. Some lines of the speech need no commentary, just a little rearranging, to have you scratching your head. Thank God for those powers of stability that have allowed the Afghans and Iraqis (and Libyans) to live in peace and harmony. Hopefully, none of them have Twitter.